In this video we can see excellent review and Technical Outlook for Major Currencies from dailyfx expert J. Kruger. It is not recomended to trade during the holidays but major outlook, strong USD dollar in the begining of 2012 can help you to make better forex trend trades and to understand market. Euro is still strong and it will go to 1.36 and GBP/JPY, EUR/JPY, USD/JPY will be in short bearish correction trend in ext days. Technical Outlook for Major Currencies at February 22, 2012 was prepeared by dailyfx expert. He saw major forex pivot points and we wait for GBP and EUR bearish trend. GBP/USD and GBP/JPY afther fundamental news today went down. We expect more bearish look for this pairs. See forex market outlook video. EUR/USD correction is not end. We wait 1.33 and 1.34 break before huge drop down. Finaly we can see bearish trend for EUR/USd and GBP/USD. We made sell order and SELL GBP/USD. Stop loss is 1.622 and target is 1,584. EUR/USD can move towards 1,34 area. GBP/USD – can go till 1,6 – afther this point we see strong bearish trend. Risks remain for Euro upside over the short-term and we see gains extending into the 1.3100-1.3400 area before considering the possibility of bearish trend resumption. Aussie and Kiwi are looking stretched however, and here we see risks for more immidiate downside. 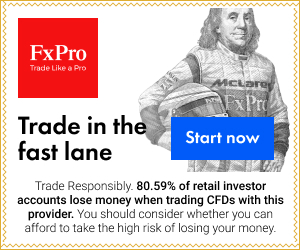 Forex Technical Outlook for Major Currencies – is GBP/USD ready for bearish signal ? Dailyfx expert today will give you major tips for forex trading major pairs. GBP/USD is at 100% Fib. extension., top pivot point is 1.615 and this is real chance for sell order.